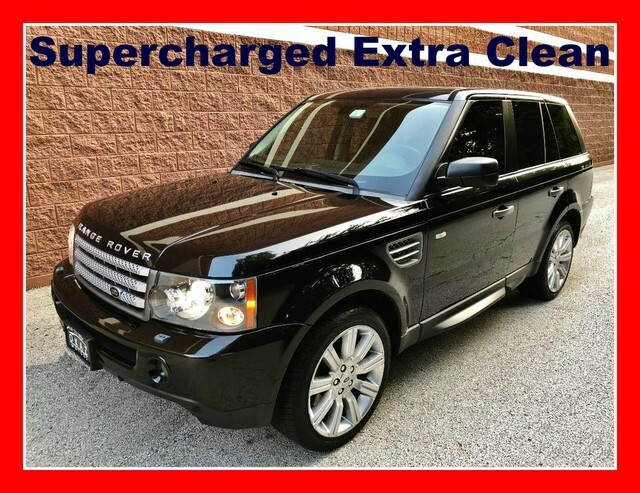 Check out this gently-used 2008 Land Rover Range Rover Sport we recently got in. CARFAX BuyBack Guarantee is reassurance that any major issues with this vehicle will show on CARFAX report. As a compact SUV, this vehicle packs all the performance of a full-size into a package that easily navigates the urban terrain. You appreciate the finer things in life, the vehicle you drive should not be the exception. Style, performance, sophistication is in a class of its own with this stunning Land Rover Range Rover Sport. Where do you want to go today? With 4WD, you can choose to drive virtually anywhere and on terrain 2WD vehicles can't handle. One of the best things about this Land Rover Range Rover Sport is that it has low, low mileage. It's ready for you to truly break it in. Added comfort with contemporary style is the leather interior to heighten the quality and craftsmanship for the Land Rover Range Rover Sport Find the quickest driving route in this Land Rover Range Rover Sport Supercharged using the installed navigation system. This nav system is one of the easiest to use and will help get you where you need to go quickly! Get a complete and detailed history at no charge on this wonderfully maintained pre-owned vehicle. Beautiful exterior. Clean interior. This Land Rover Range Rover Sport is so immaculate it is practically new. Treat yourself to a wonderful driving experience in this wel- optioned Land Rover Range Rover Sport Supercharged. Equipped with the latest in driver comforts, this Land Rover is the benchmark of modern automotive engineering.